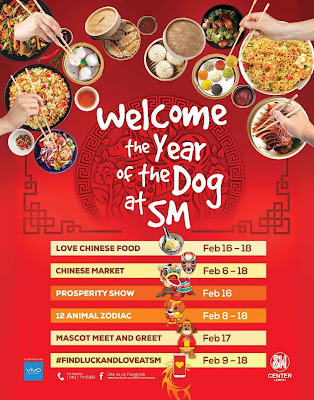 The year of the dog officially starts on February 16 and SM Supermalls joins in this celebration of luck and good fortune with activities for everyone at SM City Batangas, SM City Lipa and SM Center Lemery. LOVE CHINESE FOOD. Enjoy special treats from selected Chinese restaurants in SM as you celebrate Chinese new year with your family. CHINESE MARKET. Shop for luck and your favorite Chinese New Year feast at the Chinese New Year Bazaar showcasing various Chinese delicacies and different charms, crystals and ornaments to give in good luck. 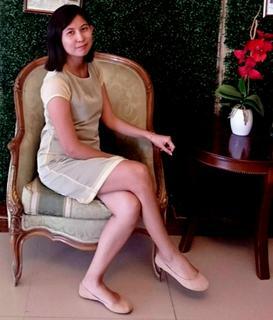 FENG SHUI CONSULTATION. Know what’s in store for you this year of the dog in the Feng Shui Consultation at SM City Batangas on Feb. 15, 1 pm at the Mall Atrium 2. MASCOT MEET AND GREET. Get to meet and greet Minca and Penny of the Littlest Pet Shop at SM City Lipa from Feb 16 – 18 at 2 pm. PROSPERITY SHOW. No Chinese New Year celebration would be complete without the entertaining Chinese Dragon Dance to chase away negative energies and bring in success for the new year. Chinese Dragon Dance will start at 10 am on February 16. Welcome the year with wealth and abundance, celebrate Chinese New Year at SM!